The name ‘Children of Decadence‘ might sound like the latest reality TV show starring Paris Hilton and Nicole Ritchie bathing in Moet cocaine and snorting champagne. But in the real world, or at least in the European motorcycling world, the ‘Children of Decadence’ are a group of Parisian moped builders who are pimping Peugeots like they are going out of style. Their last build, a cafe racer-inspired moped that we featured got you guys talking, and we’re guessing this chopper-inspired 103 will have a similar effect. 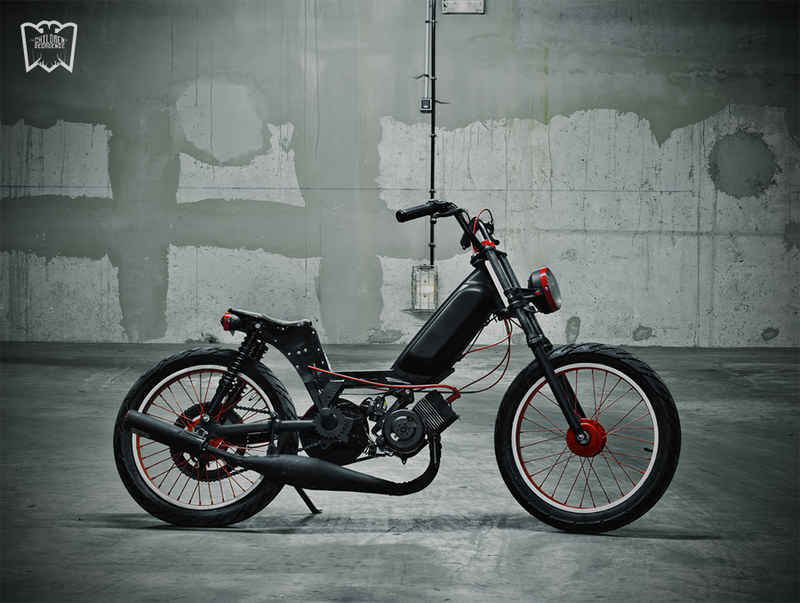 Thomas Patouillard Demoriane is the Frenchman behind this unique little moped they call ‘Cherry Coke’ – a little sweeter than usual but it still has that caffeine hit. Over to Thom to talk us through the build – remember French is his mother tongue, and we’re not talking about him kissing his old lady.